Shimano's RP301 Road Shoe offers high performance and comfort-oriented features that are perfect for competitive and recreational cyclists alike. The perforated high-density synthetic leather offers excellent fit and breathability while the super low-profile, reverse mount buckle ensures a conforming, secure hold. The off-set strap relieves tension at the highest point of the foot. A lightweight glass fiber reinforced nylon sole delivers efficient power transfer. High-density synthetic leather with perforation. Super low-profile, reverse mount buckle. Lightweight glass fiber reinforced nylon sole. I use the Shimano road shoes for a daily commute and recreational riding. These shoes are very well deigned and and are very cool (they have ventilated soles). They clip beautifully and are quite comfortable. 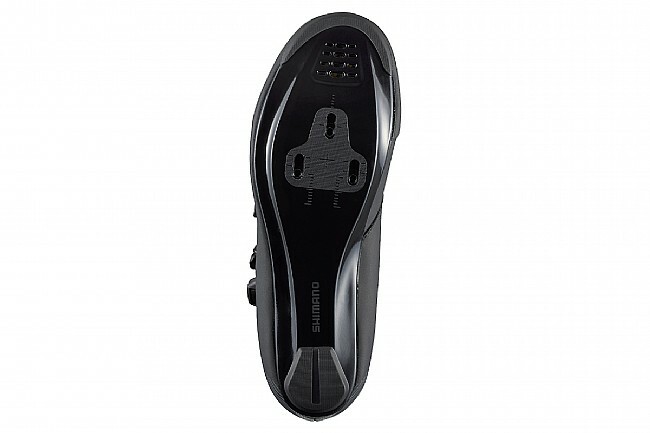 these shoe are extremely comfortable even on relatively long rides and provide ample support during cycling. shoes fits well and provides ample support. They are comfortable even on long rides. I have a wide foot with a high arch and they do not pinch or feel too snug. Overall, this shoe is well made and the adjustable straps allow it to be easily molded to my foot. 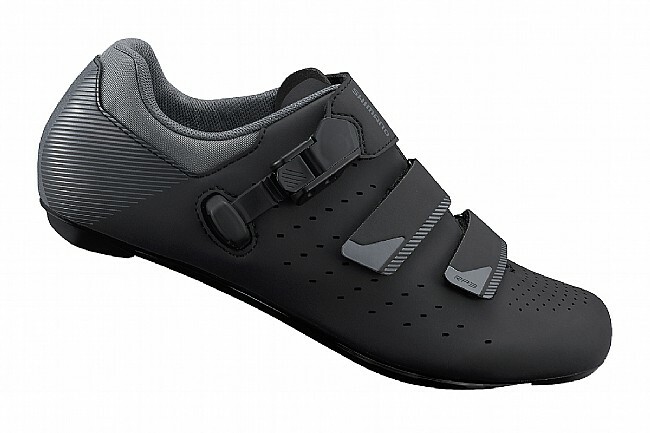 As a road cyclist who averages 30-50 miles of riding per week, this shoe fits the bill. Good for summer riding, when it gets cool I put tape over the holes, when it gets cold I put booties over them. I had an earlier version of this shoe (the R107) and decided to finally replace them with what I thought was a good deal on a pair of Sidi's. 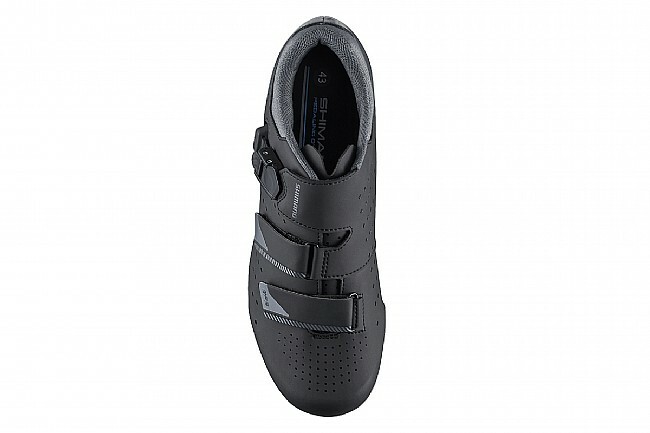 At similar price points the Shimano's are much more comfortable and lighter. I also find the strap mechanism much easier to use with the Shimano shoes. The shoes also offer much more flexibility with clip mounting as the screw position within the shoe itself can be moved. On colder rides I would put some masking tape on the soles to block off the vents. The same vents will also let in a lot of water during really wet rides.